CID researchers are the driving force behind the consortium. Their knowledge, experience and dedication enable and promote research and innovation within the consortium. The CID community encompasses over 80 members, including 19 principal investigators (PI’s), 39 PhD students, and 31 postdocs and senior scientists (assistant professor to professor), working in different disciplines at seven institutes: Utrecht University, University Medical Center Utrecht, University of Amsterdam, Leiden University, University of Groningen, Erasmus Medical Center Rotterdam, and VU University Amsterdam. Together, the CID community has the necessary expertise in developmental research (including the role of parents, peers and media, epigenetics, interventions, brain development, and animal and statistical models) to advance our knowledge and understanding of why some children thrive and others do not. The broad knowledge base, including social sciences, humanities and bio(medical) sciences, is unique to CID. Wordcloud based on the expertise keywords from the community pages. 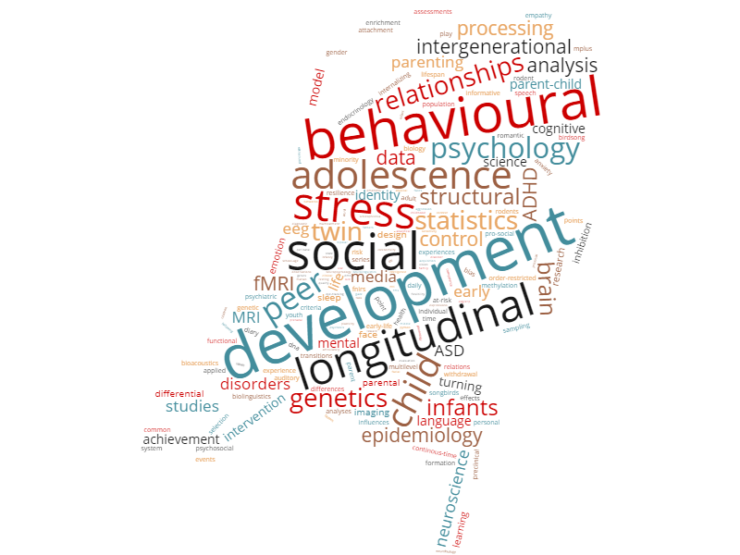 CID researchers are part of one of the four work packages (WPs): the role of brain development in WP1, effects of interventions in WP2, the role of generational transmission in families in WP3, and animal and mathematical models of development in WP4. Researchers collaborate within as well as across the different WPs. More details about the organisational structure here and CID research here. Every six months there is a CID meeting for all PIs, PhD students, postdocs, and other interested parties. This is an opportunity to meet and learn about each other’s research and activities. For more information about upcoming CID meetings, please contact Lotte Houtepen (L.C.Houtepen@uu.nl).